Chicago Sun Times - On the grounds of an old steel mill, could Chicago create a piece of utopia? Williams and I have created an installation, commissioned by the Smart Museum in Hyde Park, that examines redlining, a practice by banks and real estate firms that long denied black people homeownership in many neighborhoods. (excerpt) Several of these tenets come together in Amanda Williams’s standout contribution to the exhibition, titled Uppity Negress. 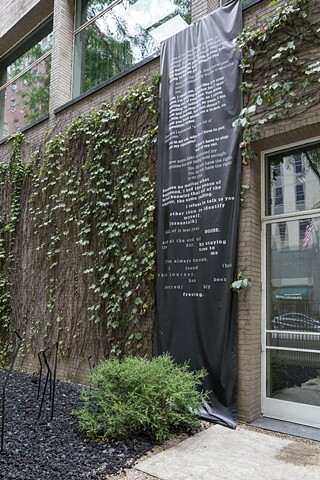 A long, black fabric banner that hangs the full length of a wall and spills along the floor, it’s printed with white text: snippets of conversation from the arrest record of Sandra Bland and Michelle Obama’s 2015 commencement speech at Tuskegee University. Williams arranged these two disparate transcripts like a poem. It begins with the two women’s words in dialogue with each other, with Obama remaining calm while Bland grows increasingly frustrated. From the jump, architecture inspired hip-hop. It’s poetry that bloomed in the shadows of housing projects, among the husks of burned-out high rises, and in view of subways tagged with a rainbow of graffiti. (excerpt) There are generally two schools of thought when it comes to summer reading. Some see the season as a time to rest their weary minds with books that do not ask too much of them. We know the covers of these titles well: Rendered in mollifying colors like aqua, they do little but advertise their own breeziness. Others see summer, with its long days tinged with a sort of heaviness, as a chance to sit very still and give themselves over to the most demanding and long-deferred of books. “Are people going to read Proust and make a living at the same time?” Roy Blount Jr. asked in a 1985 essay published in The New York Times. No they are not, he argues, because they are waiting for the beach. But then what if, in addition to being a reader, you are also an artist, and find that other people’s creative work is not so easily separated from your own? (excerpt) Watch out, Donald Trump! 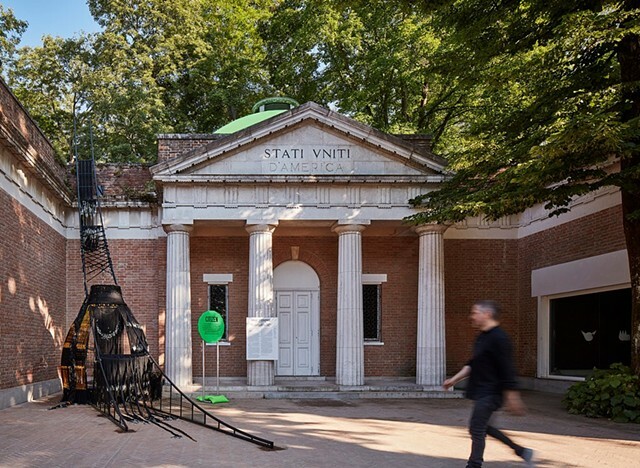 When this year’s Venice Architecture Biennale opens Saturday, the U.S. pavilion, shaped for the first time by Chicagoans, takes aim at the “us” and “them” mentality behind the president’s proposed wall along the border with Mexico. And its exhibits lob other intellectual bombshells. 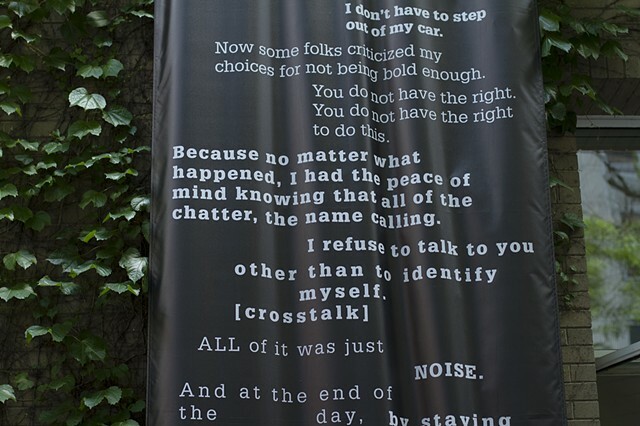 (excerpt) For the individual level, three artists collaborated on an installation called “Thrival Geographies (In My Mind I See a Line),” which tackles identity and shelter in African-American communities. 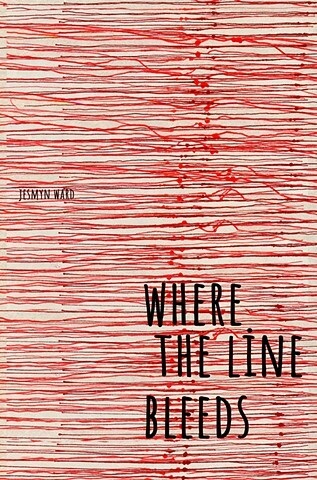 (excerpt) Growing up on the South Side of Chicago, Amanda Williams was perceiving boundaries from an early age. (excerpt) If you were anywhere near a Chicago art museum in 2017, you've probably seen Amanda Williams' work. She created an installation for the Arts Club and had her first solo exhibition at the Museum of Contemporary Art. Photos from her breakthrough piece "Color(ed) Theory" were featured alongside works from the likes of Mies van der Rohe and Studio Gang at the Art Institute's eclectic "Past Forward: Architecture & Design at the Art Institute." 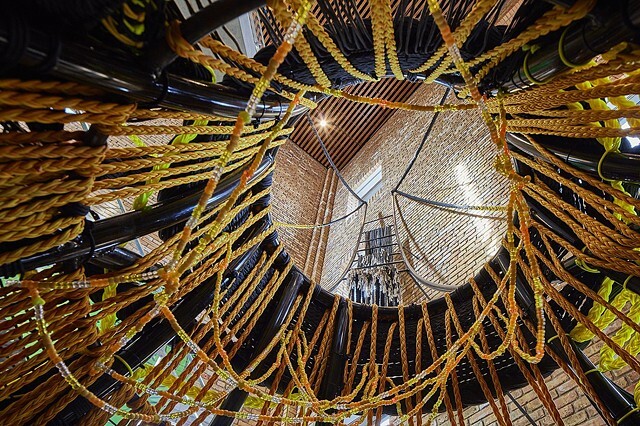 (excerpt) Designed by artists Amanda Williams and Andres Hernandez, in concert with artist Shani Crowe, this exhibit will consist of a steel structure interwoven with a braided parachute chord, Williams and Hernandez said. The subject is how African-Americans experience public space: Are they affirmed or unwelcome, free to move as they wish or controlled? The work will be “rooted in the history of certain groups having to be fugitive, on the run,” Hernandez said, evoking the history of slaves escaping on the Underground Railroad. (excerpt) It defines and shapes us. It’s at our core, from North to South, and from Lake Michigan to the West Side, and it’s boiling-hot running through our veins defeating even the fiercest temperatures that make the coldest winter nights almost unbearably long. 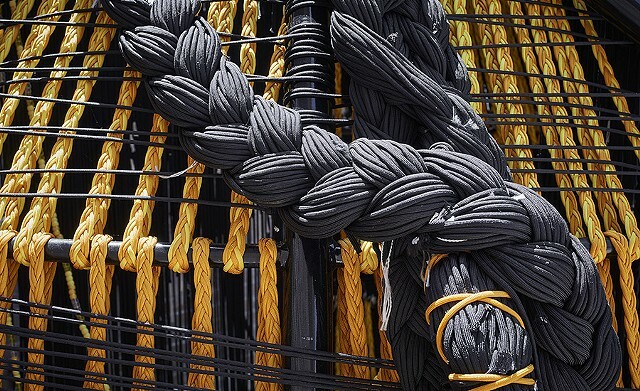 (excerpt) The Joan Mitchell Foundation has announced its 2017 Painters & Sculptors grant recipients, a group of 25 artists who will each receive $25,000 in unrestricted funds. 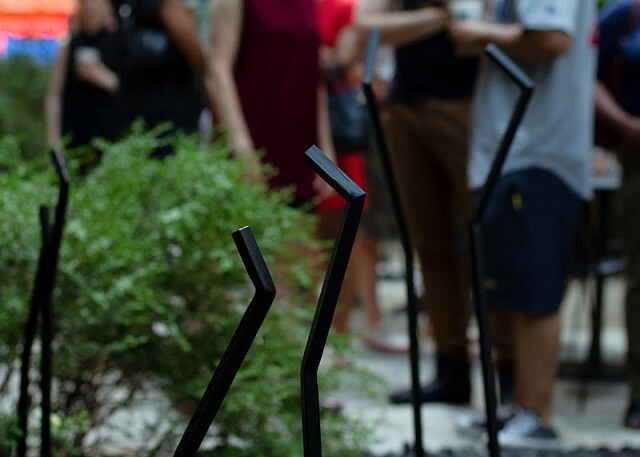 Established by the foundation’s namesake in 1993, the grants are awarded annually to under-recognized artists working in the United States through a nomination and subsequent jury vote. 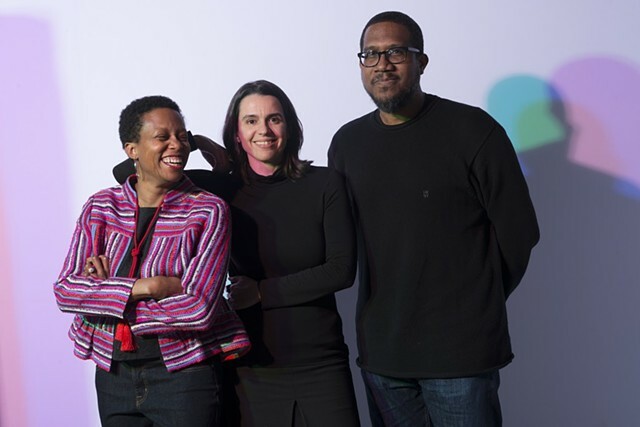 (excerpt) Two years ago, Amanda Williams presented her seminal project Color(ed) Theory (2014-2016) during the 2015 Chicago Architecture Biennial. 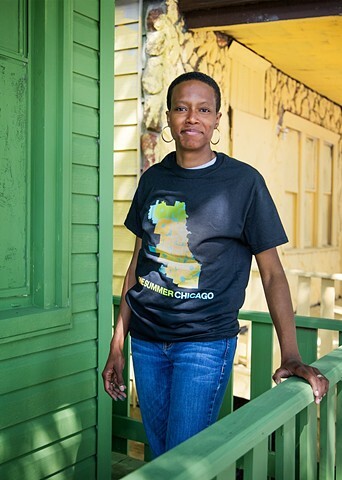 A native of Auburn-Gresham, Williams used the landscape of Chicago’s South Side as her canvas. 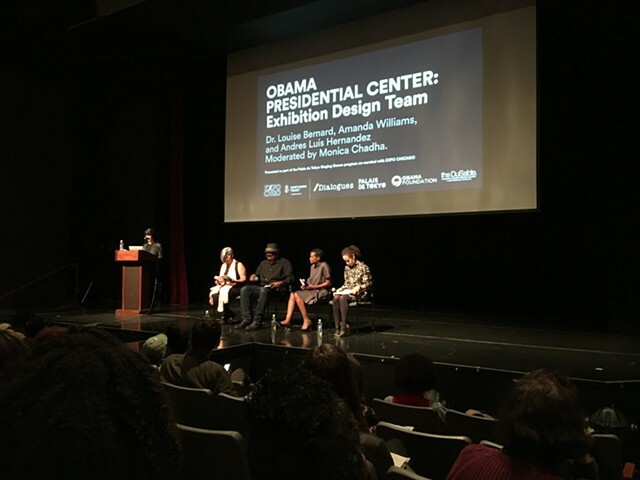 (excerpt) EARLIER this year Amanda Williams was asked to be a creative consultant on the Obama Presidential Library. This was an surprising honour for an artist who had earned a public profile in her hometown of Chicago only two years before, thanks to a single project as declamatory as it was thoughtful. Images courtesy of Arts Club of Chicago. Photos by Michael Tropea. 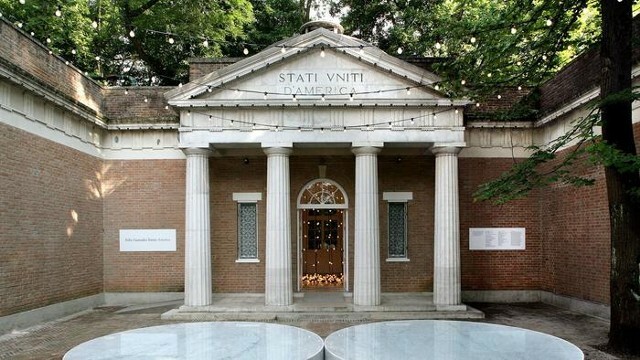 (excerpt) Seven design teams have been selected to represent the United States in the U.S. Pavilion at the 2018 Venice Architecture Biennale. The pavilion’s curators, Niall Atkinson, from the University of Chicago; Ann Lui of the School of the Art Institute of Chicago, and Los Angeles–based critic and curator Mimi Zeiger, selected Dimensions of Citizenship as the theme of this year’s exhibition, to engage architecture in the timely question of what it means to be a citizen. 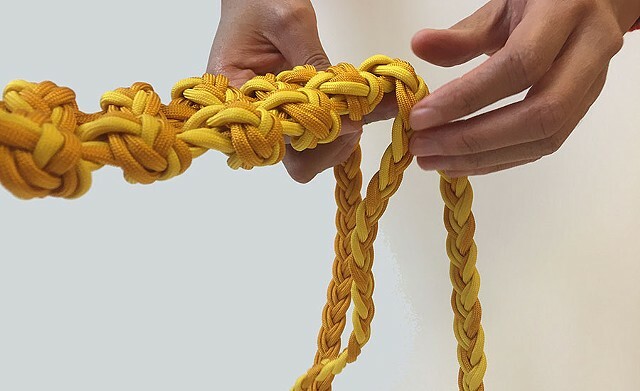 (excerpt) In many ways, Chicago-based Amanda Williams sets the stage to the Biennial with her exhibition Chicago Works: Amanda Williams at the Museum of Contemporary Art, a satellite partner to the Biennial programing. Originally trained as an architect, Williams’ Color(ed) Theory (2014–present) project debuted at the first Chicago Architecture Biennial—the series, which included locating abandoned homes in the Englewood neighborhood set to be demolished by the city, featured their exterior monochromatically painted in electric colors, as if marking a declarative outcry on behalf of the buildings’ impending demise. 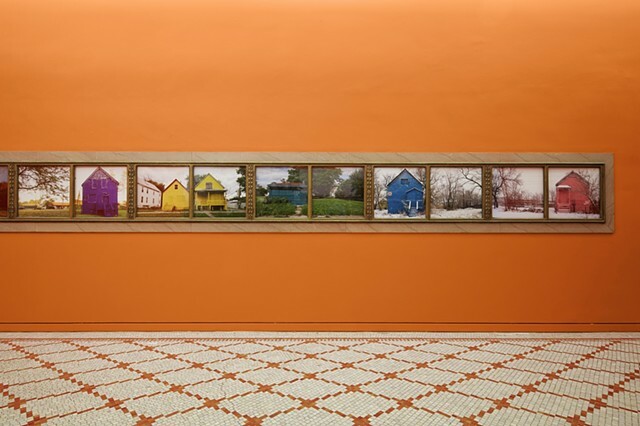 The selected palette of the houses, devised from Williams’ own system, are associated with consumer products—the hues bearing titles such as Harold’s Chicken Shack Red, Currency Exchange Yellow, Safe Passage yellow, Newport Squares Teal, Crown Royal Purple, or Flamin’ Hot Orange, among others. “It feels like it’s been one long day since October 2015.” Amanda Williams tells me this, and I believe her. 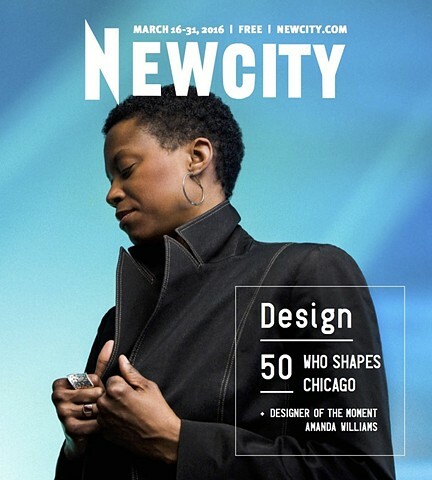 Seemingly overnight, the voluble Bronzeville resident went from relative obscurity to a solo show at the Museum of Contemporary Art, a garden project at the Arts Club, and a place on the exhibition design team for the Obama Presidential Center. 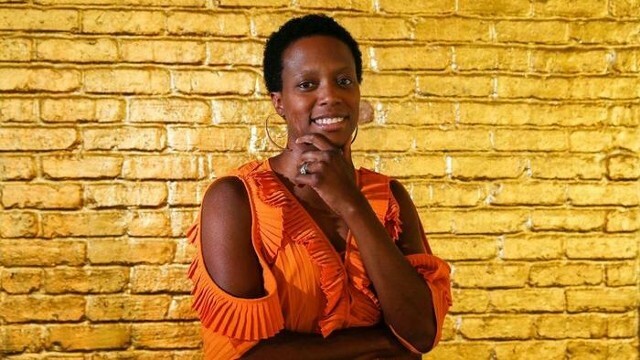 She’s been commissioned to create a new work of public art on the West Side and has won awards from 3Arts and the Pulitzer Arts Foundation. She’s one of only two artists ever invited to be a fellow at Leadership Greater Chicago, a prestigious civic networking organization. And that’s just some of what’s been publicly announced. How all this happened has everything to do with the color of racism. (excerpt) The gold bars inside the Museum of Contemporary Art Chicago right now might remind visitors of Fort Knox. 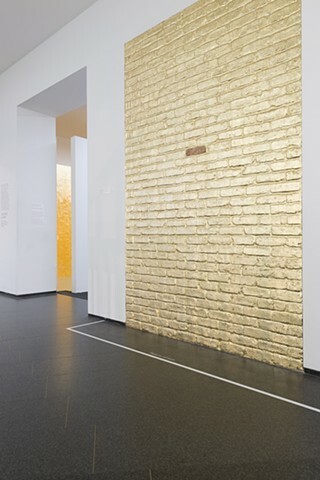 But it’s faux bullion: Artist Amanda Williams works with a team of assistants, colleagues and relatives to meticulously brush salvaged bricks with imitation leaf. 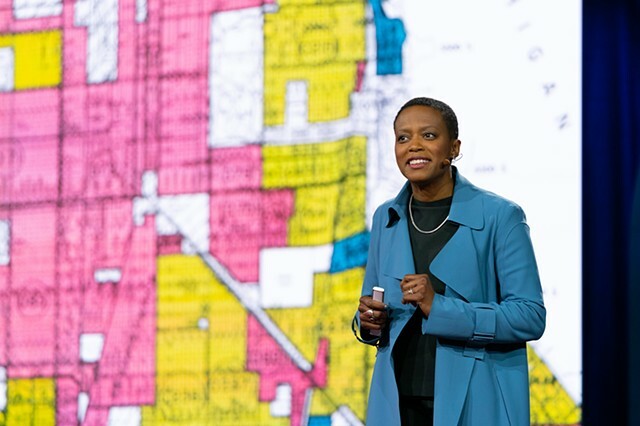 Sourced from demolished buildings, Williams’ gold aims to quickly communicate an important question in cities navigating blight, preservation and revitalization: How should we assess the value of architecture in distressed neighborhoods? 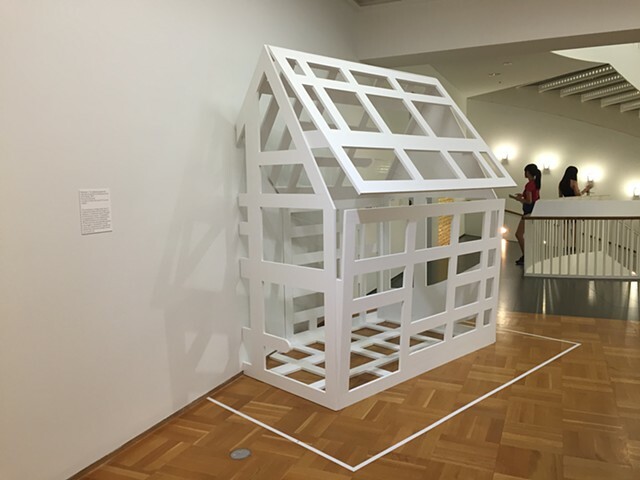 (excerpt) A wooden toy box, made of materials from a demolished Englewood house, now sits in a corner at Chicago’s Museum of Contemporary Art. Its designer: a 5-year-old boy who lived down the block. He helped Bronzeville-based artist Amanda Williams create the piece for her first solo exhibit, which runs through the end of the year at the MCA. (excerpt) On the 5900 block of Stewart Avenue, a quiet, grassy lot in Englewood, there's a brick house painted from top to bottom in the teal hue of a pack of Newport cigarettes. Across the street, wildflowers grow at the base of an elevated track where freight trains periodically chug by with a low hum. The residence was painted in 2015 by the artist Amanda Williams and a small crew of helpers because it fit Williams's main criterion: it was slated for demolition. 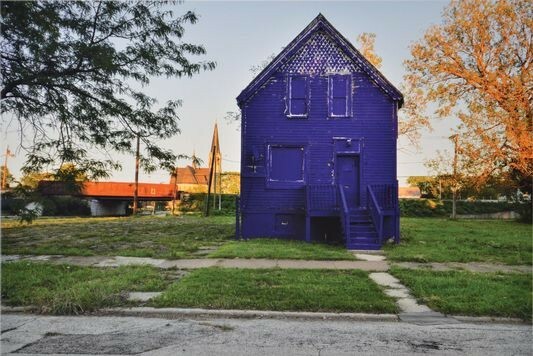 (excerpt) Color(ed) Theory, a series of photographs of abandoned houses on Chicago’s South Side painted bright colors, was one of the Chicago Architecture Biennial’s most persistent viral images. 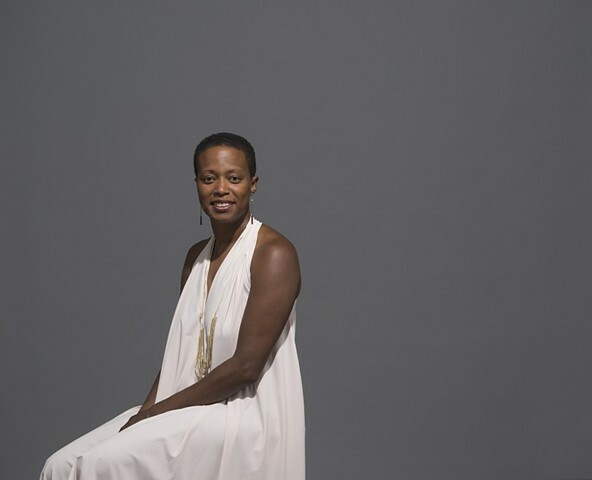 Chicago Works: Amanda Williams—its sequel of sorts—constitutes a passing of the torch. 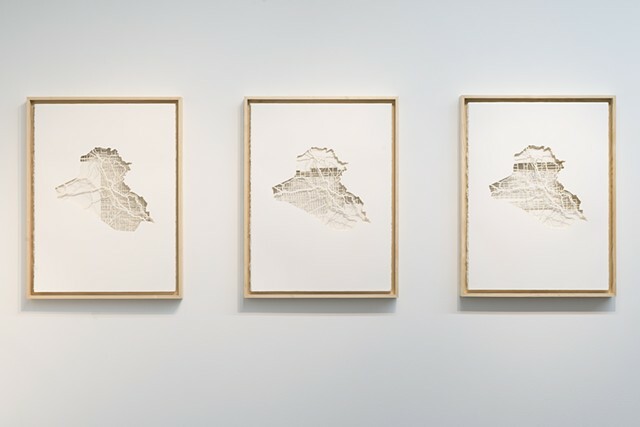 The show, which opened this week at the Museum of Contemporary Art (MCA) in Chicago, represents architect and artist Amanda Williams’s first solo museum show. Innovative architecture is expanding the boundaries of the discipline through design and technology. 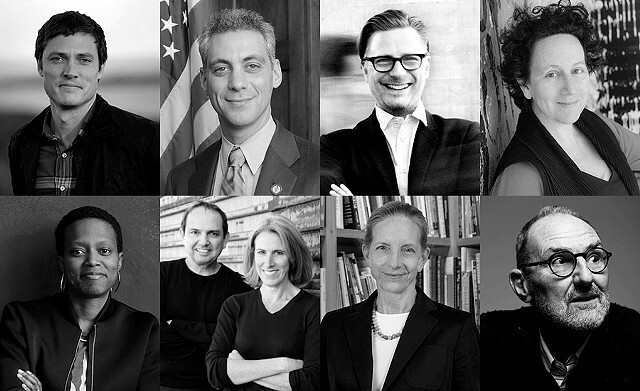 Architectural Record brings together key figures who are generating a range of creative solutions for the built environment today and into the future. HYDE PARK — The designer behind the National Museum of African-American History and Culture will lead the planning of the exhibits at Barack Obama’s presidential library, the Obama Foundation announced Tuesday. Ralph Appelbaum Associates will be in charge of a team that includes several Chicago firms that will design how the exhibition spaces in Obama’s library and museum will function and be laid out when it’s built in Jackson Park. The New York-based firm might not be familiar to many in Chicago, but its work is among the most well-known in the country, including the new National Museum of African-American History and Culture and the United States Holocaust Memorial Museum in Washington, D.C., and the Rose Center for Earth and Space at the American Museum of Natural History in New York City. Appelbaum also helped to design the exhibition spaces in former President Bill Clinton’s library in Little Rock, AK. As Appelbaum’s first major Chicago project, he is bringing in a team that knows both the city and the South Side well. 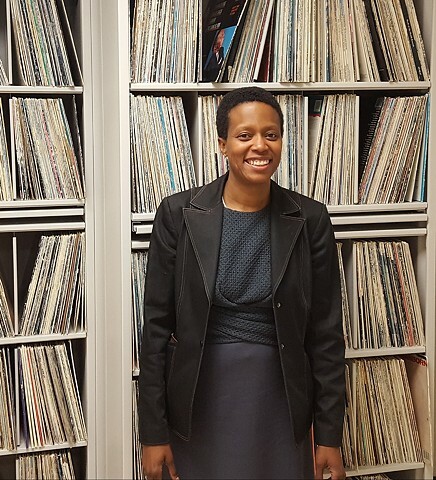 South Side artist Amanda Williams, known for her “Color(ed) Theory” project that painted vacant houses in Englewood vibrant colors, and Andres Hernandez and Norman Teague will help in the development of the library. 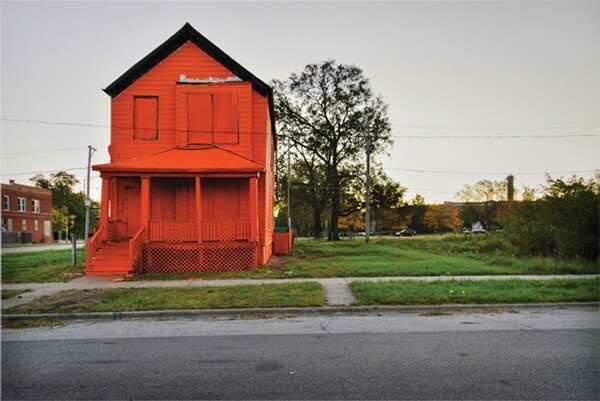 (excerpt) Amanda Williams jumped to the forefront of multidisciplinary design practice in Chicago with her project, “Color(ed) Theory.” A site-specific commentary on the spatial implications of race, class and opportunity in a city divided, houses slated for demolition on Chicago’s South Side were painted in bright hues to activate vacant and unused blocks while interrogating their history and meaning within our shared cultural context. The project was included in the inaugural Chicago Architecture Biennial where it garnered praise, critical reception and recognition from local government and arts organizations while furthering a global conversation about the role of socially aware art and architecture in our culture. Q: How does the blurring of the line between architecture and art influence your work? (excerpt) The Chicago Cultural Center was a hive of activity as designers and architects set up for the first-ever Chicago Architecture Biennial. (excerpt) Although my critical practice has not been as deeply engaged with painting as other disciplines (albeit with some exceptions), I’ve been thinking a lot lately about its political potential outside of such lineages as History Painting (whether Delacroix or Kerry James Marshall) or the modern mural movement. 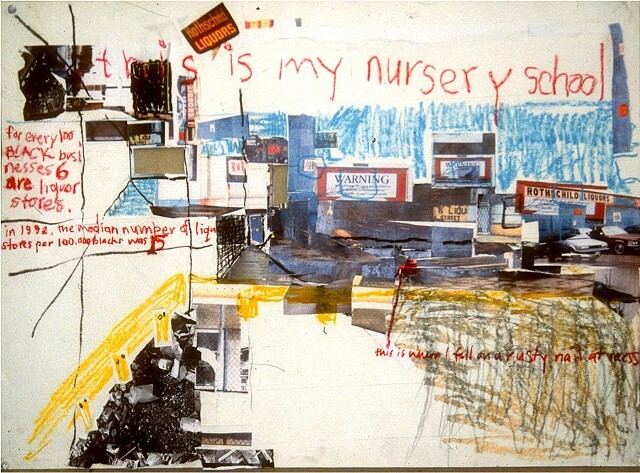 Thus, I’ve been looking at painting projects that directly intervene into the contemporary social landscape – rather than represent it – performing an urban archeology that acts as a catalyst for change, while reinvesting the medium with political meaning. (excerpt) What so many of our disconnected youth are crying out for is an opportunity to gain a sense of self-worth. That starts with having a job. For these young people, a job provides more than just a paycheck. It provides a set of values and life lessons that come from having to show up on time, having to work hard every day, and having to interact with peers and supervisors. When combined with furthering their education, a job opportunity can put them on the path to entering the middle class once and for all. 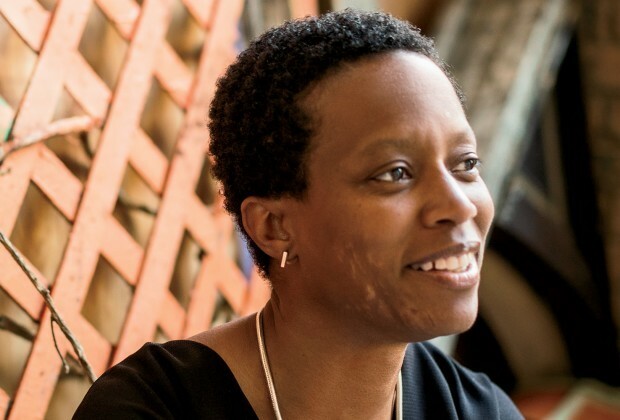 Amanda Williams, artist and adjunct associate professor of architecture at IIT, leads a group of young Chicagoans in a community beautification project in West Englewood. AIA Chicago visited the project yesterday as Mayor Emanuel was lending a hand. Participants in the ONE SUMMER CHICAGO jobs program joined forces with Williams in her continuing “Color(ed) Theory” project. 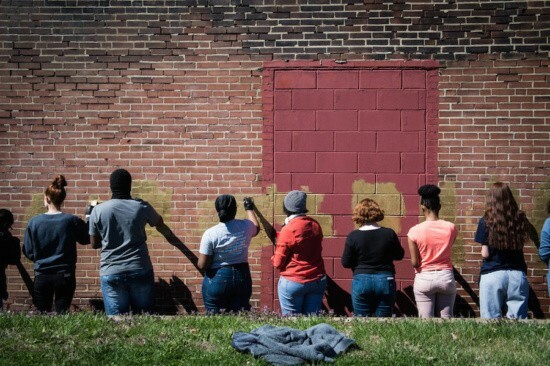 The group created new bright spots on the 6400 block of South Wood Street by adorning abandoned houses on the city’s demolition list with a new coat of beautiful color. Even if only temporary, the transformation of these abandoned structures from eyesores to eye candy, affects neighborhood residents whose commitment to their community deepens with every improvement. More than 24,000 young Chicagoans are employed in the ONE SUMMER CHICAGO jobs program. 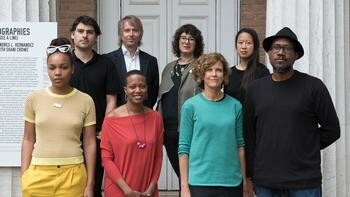 Amanda Williams and her “Color(ed) Theory” project will be featured in the Chicago Architecture Biennial. Video excerpt describing the impetus behind my Color(ed) Theory series. winners can be found at the Chicago Tribune. Monday night at the Museum of Contemporary Art (MCA) was a big night for ten local artists, thanks to the support of Chicago's 3Arts. The charity, devoted to supporting women artists, artists of color and artists with disabilities, hosts a special event each October to announce the year's lucky recipients of unrestricted grants - inspirational windfalls or bountiful financial relief packages that are always greatly appreciated. 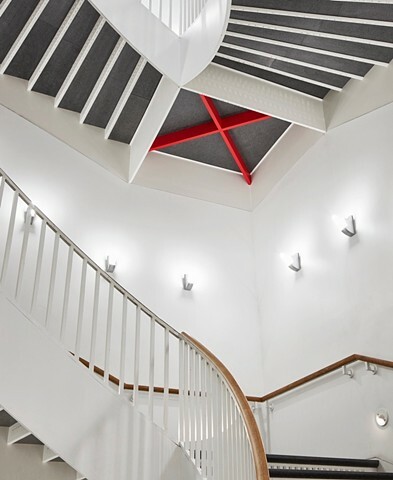 3Arts' has always touted its mission of providing the means for artists to freely create art and build a sustainable career, but now the charity is expanding programming to include residency fellowships, project support, and professional development and promotion. to the powerful works of Amanda Williams and Krista Franklin. the gold leaf and rhinestones. on WCIU's "You and Me in the Morning" show. stories produced by NBC Chicago in honor of Black History Month. Upscale Magazine's November 2009 Issue. Artists Month, sponsored by the Chicago Department of Cultural Affairs. 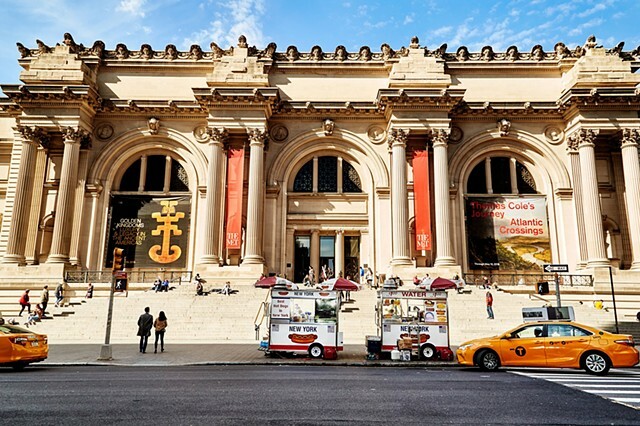 prize and solo exhibition at the Brooklyn Museum of Art. for Bravo's Art Competition, "Work of Art.."
contestant on Bravo's latest reality show, "Work of Art: The Next Great Artist,"
Join me for the 6th annual installment of Open Studios. horizon, as well as a group exhibition "Creative Cornerstones". THIS IS NOT YOUR GRANDFATHER’S BRIDGEPORT! DJ Veganinblack! This event is FREE and open to the public. newest competition, "Work of Art: Next Great Artist"
piece, as well as whose concept leaves the greatest impact. and historical images of race, society and identity. Review of the October, 2009 "Chicago Works" exhibition. AMANDA WILLIAMS for the Building Bounty-ful Bridges National Campaign. mural in collaboration with Rush Philanthropic Director of Education Meridith McNeal. that art and creativity can have upon their lives."